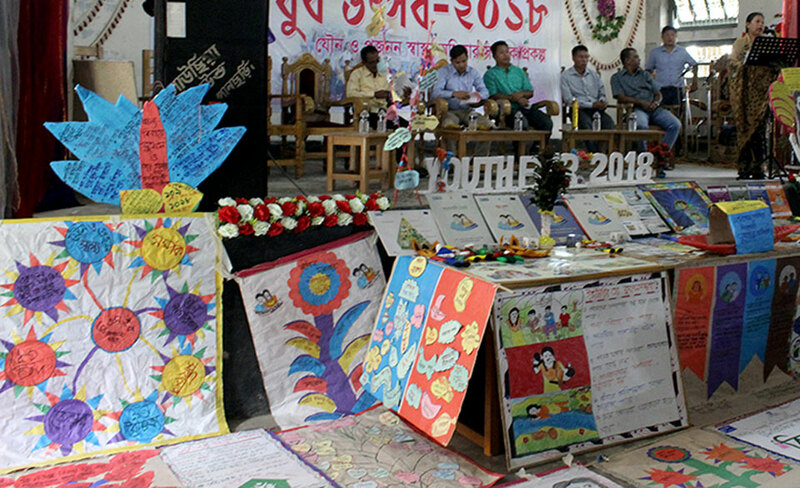 Daylong “Youth Festival -2018” was held at the Panchari Town Hall, Khagrachari on 24th September organized by YPSA with the support of Plan International Bangladesh aiming to create an environment for sexual and reproductive health rights for the youth of Panchari upazila. 15 youth clubs and youth from 05 Unions of Panchchari Upazila participated in the fair. Panchari Upazila Nirbahi Officer Mr. Abul Hashem; Panel Chairman of the Upazila Parishad Lokman Hossain and Women’s Vice Chairman Ratna Tanchanga announced the inauguration of the festival singing of the national anthem. Soon after, the discussion meeting began. Boys and girls asked a lot of questions through their written note, to the invited guests, by answering those questions, the guests of the festival shared their own story of growing up. 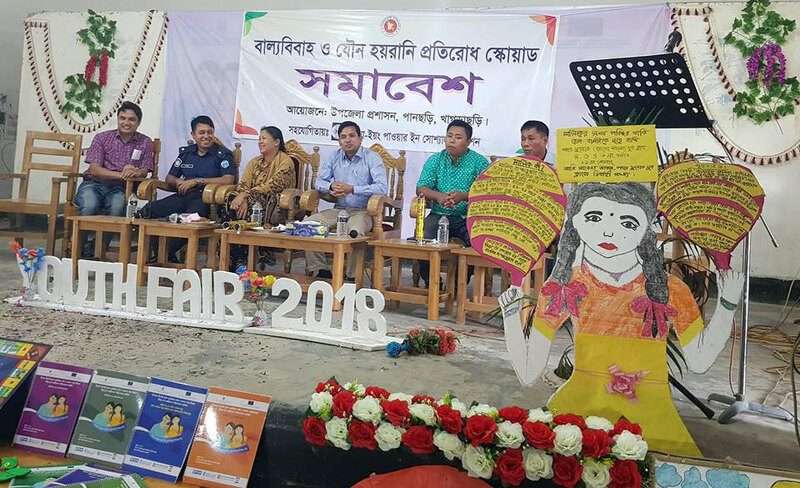 “Child marriage and sexual assault prevention squad assembly” was formed in the initiative of Upazila Administration in every ward of Panchchari Upazila. The members of the youth clubs participated in that squad. Under the supervision of Upazila Nirbahi Officer, the aims and actions of squad assembly and contemporary situations were discussed. The contest of the story of change begins after lunch break. In this competition, boys and girls told their stories about transformation and explained how sexual and reproductive health rights project have played an important role in their change. The best five of them are rewarded by choosing the story of the change. At the end, the participation enjoyed cultural performance in the function. 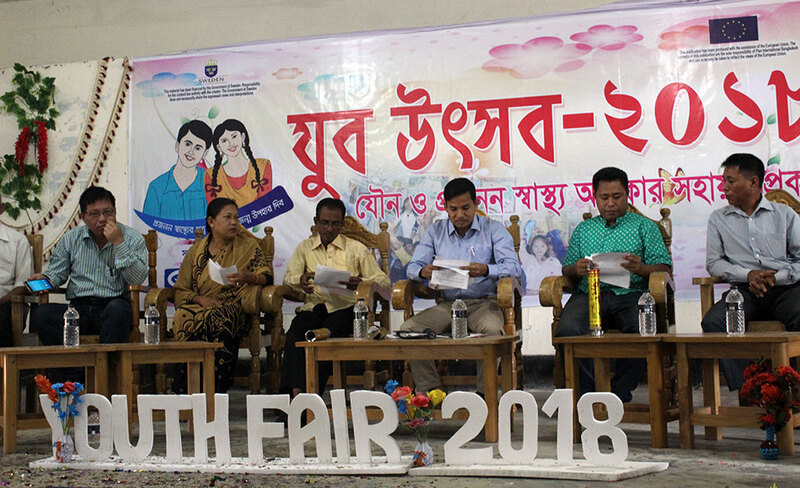 By organizing this youth fair, 15 youth club members from Panchchari Upazila got the opportunity to exchange their experiences and opinions. They have fostered information about sexual and reproductive health rights through their creative enlightenment and this has given the general public the opportunity to think about sexual and reproductive health rights, creating assistive environment, accessing to accurate information and accessing to services.